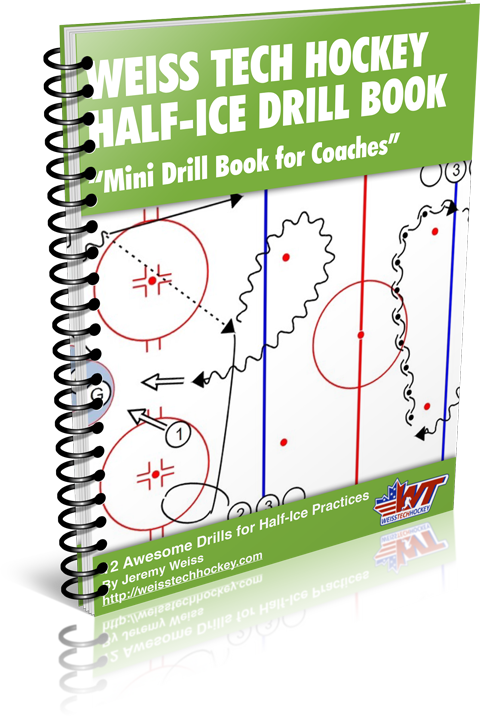 This is a fast-paced, small area game drill that incorporates a lot of one-touch passes and one-timer shots. Works REALLY well with the right group of players. Encourage your players to move the puck quickly and isolate the man. 1. Players are confined within the lines of their areas. 2. 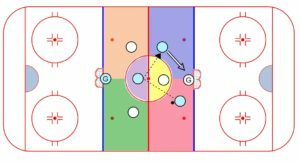 Focus on quick puck movement. 3. One-touch passes and One-timers. 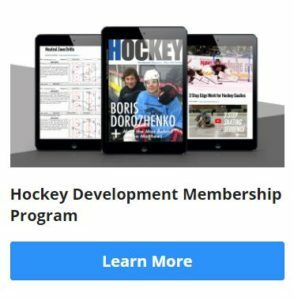 As always – Click Here for the printout.